Coca-Cola European Partners (CCEP) has expanded its light colas portfolio with the launch of two new flavours – Coca-Cola zero sugar Raspberry and Diet Coke Twisted Strawberry into select grocery outlets. 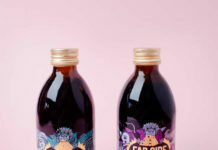 The innovation will help retailers to maximise on the popularity of the flavoured cola segment, currently worth almost £190m and in +25% value growth. Diet Coke Twisted Strawberry has a tangy and exotic taste, and Coca-Cola zero sugar Raspberry offers consumers a palette-pleasing fruity flavour. 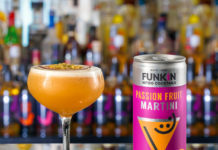 The launch will be backed by a £7million marketing campaign spanning OOH, digital and TV, and more than two million consumers will have the opportunity to taste the new variants through sampling activity throughout the year. The introduction of the new flavours follows the success of Coca-Cola zero sugar Peach, Diet Coke Exotic Mango and Diet Coke Feisty Cherry in GB, which are now worth more than £20m since launch in March last year, with almost 60% of these sales incremental to the cola segment. Diet Coke remains the no.1 sugar free cola and Coca-Cola zero sugar is the fastest growing major cola and the new flavours are set to continue driving growth for both these brands. 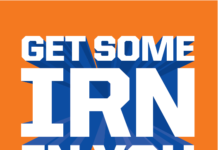 Simon Harrison, Vice President, Commercial Development at Coca-Cola European Partners GB, said: “Our light flavoured colas are increasingly popular with consumers who are looking to try new and exciting variants of their favourite soft drinks. They are also an example of how we are energising our core brands as we continue on our journey to becoming a Total Beverage Company.